Sources in the BJP say the party is ready to contest all 119 seats in Telangana and may see a good chance without KCR and his TRS. 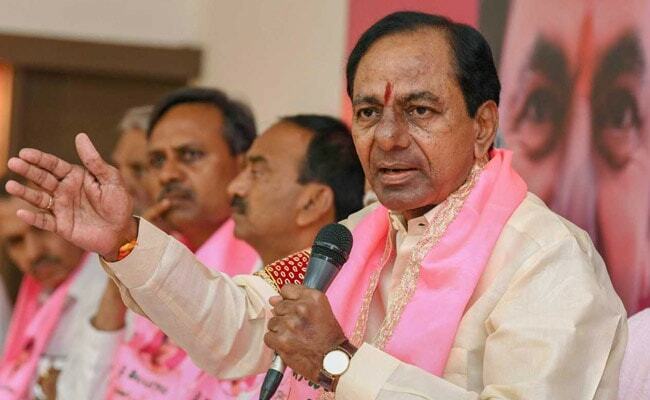 New Delhi: After preparing the ground for early polls by dissolving the assembly, Telangana Chief Minister K Chandrasekhar Rao ruled out any alliance with the BJP. BJP sources responded with political-speak for "your loss, not ours". BJP leaders said last night, after Mr Rao's press conference, that the party is ready to contest "all 119 seats" in the state. Yesterday, Mr Rao, or KCR as he is mostly called, declared that the Telangana assembly would be dissolved eight months before schedule, and the state will have early elections. "I sacrificed my (full) term for the sake of the people of Telangana, to maintain steady growth of the state and to protect the state from bloody fragility," KCR told reporters, asserting that he had done it for the "bright future of Telangana". KCR also blamed the "unlimited idiocy" of the opposition, meaning Congress, while calling its national president Rahul Gandhi the "country's biggest buffoon". But the chief minister also denied that he was getting closer to the BJP. "The TRS is 100 per cent secular and will remain secular," he said. Speculation about KCR's alliance with the BJP was intense when he met with Prime Minister Narendra Modi in August. KCR said he had met the PM as the chief minister of a state. "It is true that we have been maintaining cordial relations with the NDA government at the centre. But that is only on government-to-government basis," KCR told reporters. KCR's move to go for early polls in Telangana was widely anticipated. Though the election would have been held in June 2019, KCR reportedly wanted to ensure that the focus during the state polls is on his role and his government's achievements, rather than on PM Modi or on the Congress. Sources in the BJP say the party is ready to contest all the seats in the state and may see a good chance without KCR. "A Modi wave and the national mood could have played a role if both elections would have taken place at the same time. 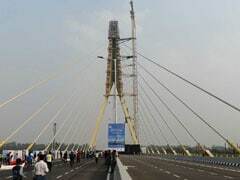 The TRS wants to avoid it," said BJP sources. BJP leaders also said the party historically had a better mass base in the state. "In 1998 the BJP won 24 per cent votes," sources said, adding, "Our state unit is ready". The Congress has a strong presence in Telangana but the TRS seems to have consolidated over the last four years. The Election Commission will discuss the possibility of an election by December - along with Madhya Pradesh, Chhattisgarh and Rajasthan, which are scheduled to vote this year. KCR said he called for dissolution for the "bright future of Telangana"